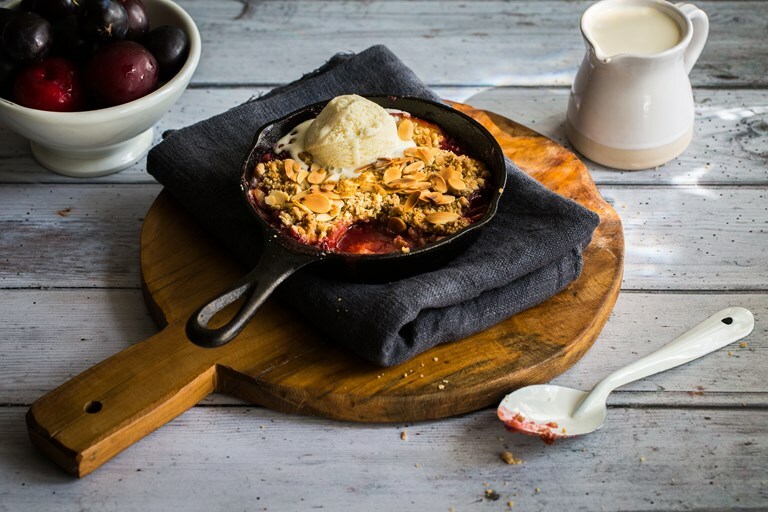 Louise Robinson serves up her ultimate plum crumble recipe, flavoured with orange and cinnamon and topped with flaked almonds. 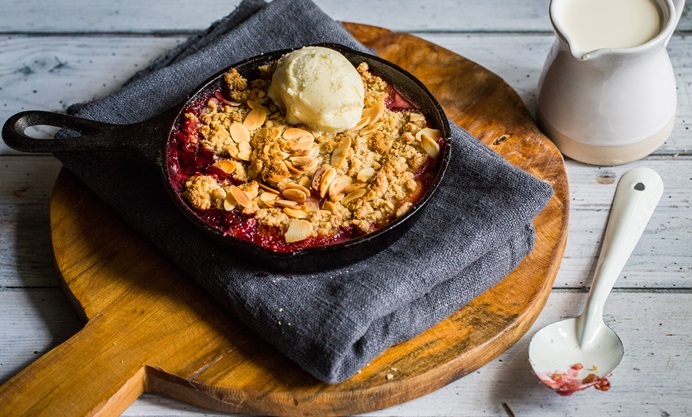 A great comfort food dessert for a dreary day. The amount of sugar needed for this beautiful dessert will depend on the variety of plums used, as they vary so much in sweetness. It’s a good idea to taste them first and use your discretion. You will also need four small cast iron pans or dishes (approximately 16cm in diameter) or a single medium-sized dish (approximately 20 x 32cm) for this recipe.